The Pfister Hotel is a member of Historic Hotels Worldwide®, which is dedicated to promoting heritage and cultural travel to prestigious historic treasures. 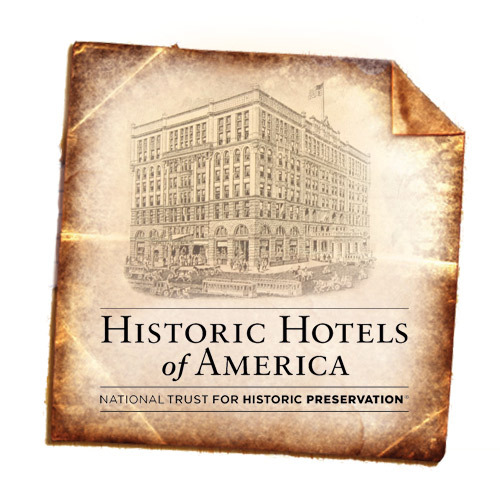 The National Trust Historic Hotels of America (HHA) is a program of the National Trust for Historic Preservation. HHA has identified more than 220 quality hotels that have faithfully maintained their historic architecture and ambience. To be selected for this program, a historic hotel must be at least 50 years old, listed in or eligible for the National Register of Historic Places or recognized locally as having historic significance. The Pfister is proud to meet these qualifications. The vision of Guido Pfister and his son Charles was to create a “grand hotel of the west.” When the Pfister opened its doors in 1893, it was a lavish production and was met with unbridled enthusiasm. The Romanesque Revival design of architect Charles Koch incorporated such groundbreaking features as fireproofing, electricity throughout the Milwaukee historic hotel, its own power plant and individual thermostat controls in every room. The sophisticated Imperial ballroom, with its impressive 32-foot ceilings, quickly became a favorite venue for weddings, balls and social gatherings. Charles Pfister’s passion for art and collecting resulted in what remains today the world’s largest hotel collection of Victorian art. Located near the Historic Third Ward in Milwaukee, the Pfister is part of the city's historic legacy as well as an artistic masterpiece.